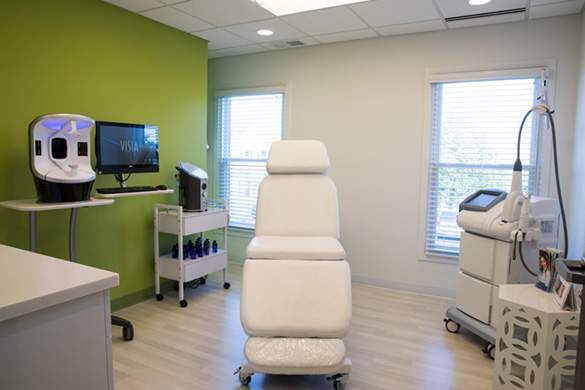 Patients come to our Barrington, IL, practice for liposuction when they are frustrated by excess fat that remains despite working out and watching what they eat. Even though diet and exercise are essential to maintaining a healthy weight and avoiding several health concerns, some fat persists. 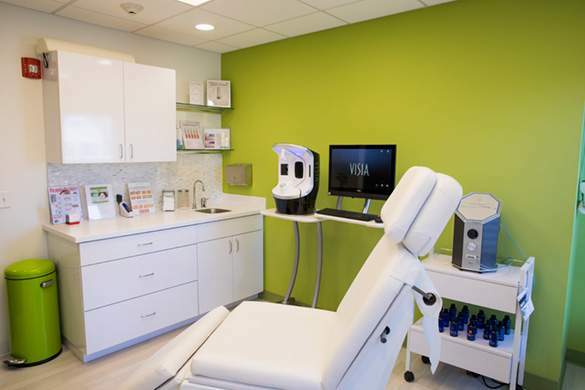 Many healthy men and women turn to procedures such as liposuction and Smartlipo® TriPlex™ to help achieve the slimmer shape that suits their healthy lifestyle. 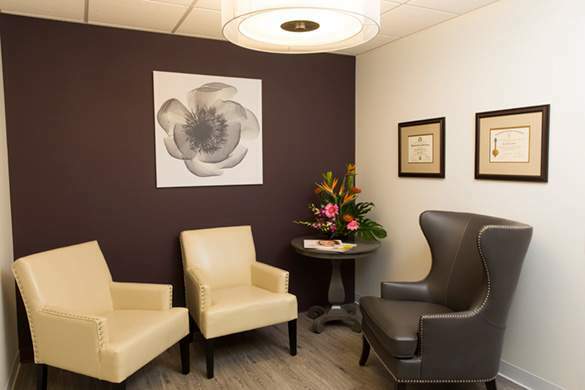 Dr. Renee Burke is a body contouring specialist who uses Smartlipo or traditional liposuction for patients from Schaumburg, Arlington Heights, and surrounding areas to reduce localized areas of fat. Dr. Burke recommends liposuction for men and women who are already in good overall shape and maintain a healthy lifestyle, but who struggle with residual “spot” areas of excess fat. These include muffin tops, love handles, back fat, or double chins. Liposuction sculpts and reshapes the body through the surgical removal of excess fat deposits. 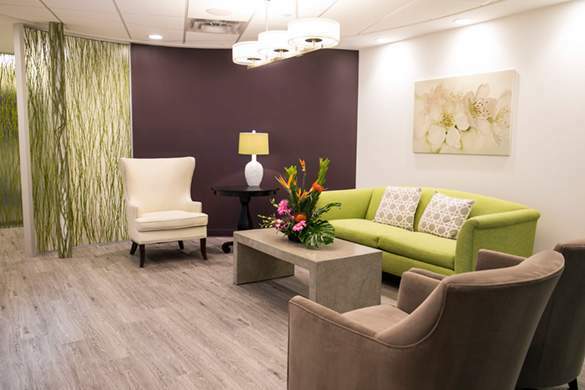 Dr. Burke uses modern liposuction techniques and technologies to flatten the abdomen, reduce the buttocks, reshape thighs and hips, slim the waist, trim love handles, or reduce fat bulges of the neck, arms, and knees. Liposuction is also used in men to reduce excess tissue in the chest (referred to as gynecomastia surgery or male breast reduction. 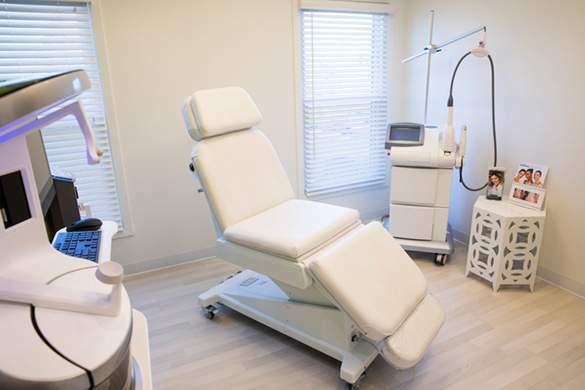 Some patients may benefit from treatment using Smartlipo TriPlex, the most advanced laser-assisted lipolysis system available. In a single treatment, Smartlipo can melt unwanted body fat with minimal downtime and less pain than traditional liposuction alone. The added heat energy works to provide you with skin tightening benefits as well. Dr. Burke uses SmartLipo to destroy fat cells, tighten tissue, and improve your overall body shape. Dr. Burke can help you make an informed decision about the right fat reduction procedure for you. If you are concerned about having excess skin after liposuction, she can see if you are a good fit for Smartlipo. Other patients may benefit more by supplementing a traditional liposuction procedure with skin tightening surgery such as tummy tuck. Remember, fat reduction procedures like liposuction and Smartlipo are not designed to be a substitute for a healthy lifestyle or an answer to obesity. It is important that you are at or near the weight you want to maintain and are only looking to treat specific areas of fat. Patients must continue to stick to a healthy diet and exercise regularly to maintain long-lasting results. Liposuction is most commonly performed as an outpatient procedure under general anesthesia or local anesthesia with sedation. Dr. Burke makes a small incision near the treatment area and then inserts a thin tube, called a cannula, into the underlying layer of fat. Dr. Burke carefully maneuvers the cannula to break up fat cells and remove them from the body using a surgical vacuum connected at the other end of the cannula. Smartlipo is slightly different than traditional liposuction. A small cannula delivers laser energy directly to fat cells and causes them to rupture. The melted fat makes for an easier, less painful removal. A related benefit of using thermal energy is the production of new collagen, which helps create tighter skin. 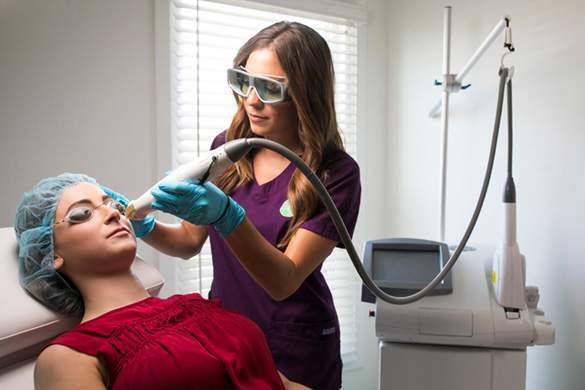 With 3 laser wavelength options, Dr. Burke can customize treatments based on your needs and concerns. Recovery may require a few days away from work, and up to a week for any bruising to resolve. 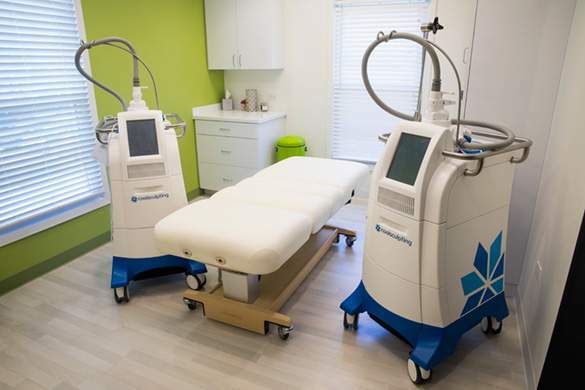 Smartlipo typically involves a quicker recovery compared to traditional liposuction. Light activity may be resumed the day after your surgery. Dr. Burke recommends the use of compression garments following liposuction to help reduce fluid retention and shape your new curves. Surgical fat reduction produces a slimmer, firmer body and you’ll likely drop a few clothing sizes. Of course, most men and women hardly mind restocking their closets with clothes that complement their new bodies. Losing these stubborn areas of fat often results in a life-changing boost of self-confidence. For many, it even gives them more encouragement to maintain a healthy lifestyle so they can hold onto their new body for many years to come. 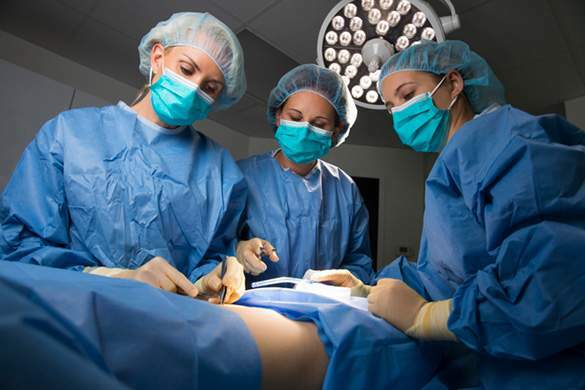 Liposuction helps thousands of women and men every year get the toned, contoured bodies they desire. 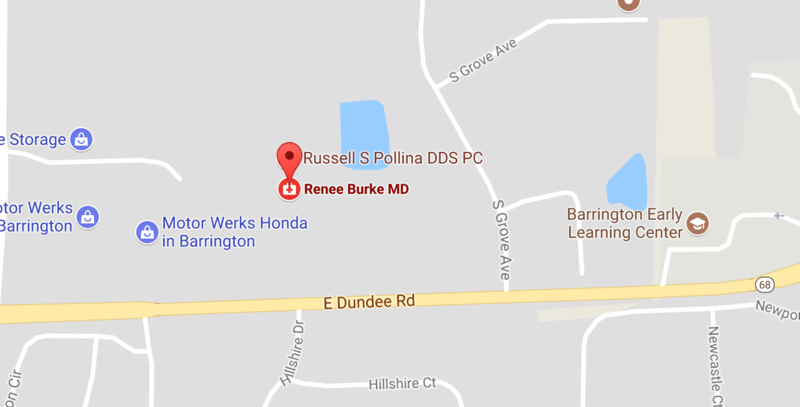 Request a consultation with Dr. Burke using the online form, or call our office at (847) 382-4400 to schedule an appointment.